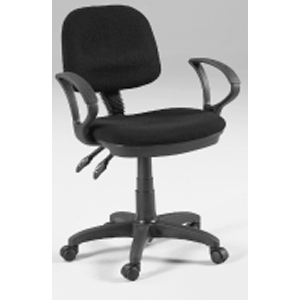 * [This drafting height version adjusts from 25.5-34"] plus ergonomically contoured seat and back, for improved comfort, productivity and support. * The back rest tilt is controlled by a spring assisted mechanism utilizing the back paddle in the picture. * Notice the large 18" fully adjustable foot ring able to adjust to any person's stature.